Designed by Newfoundland-born architect Todd Saunders, Fogo Island Inn emerged out of a 400-year-old vernacular tradition of creating seemingly temporary, although ultimately permanent, structures that are light on their feet. Originally, Newfoundland’s outport settlers were not permitted to build permanent structures or dwellings: prohibited from taking up permanent residence, our ancestors were expected to fish Fogo Island’s waters but eventually return home to England or Ireland. This led to the creation of buildings that were made of wood as opposed to stone and rested lightly on landscape by making use of stilt wood legs – called shores – rather than fixed heavy foundations. The temporary nature of these original structures is still part of Newfoundland’s vernacular building techniques, and is clearly reflected in the architecture of the Inn. Buildings in outport Newfoundland continue to be designed for economical use of materials and to be moved when needed, all while withstanding the harsh Northeast gales. 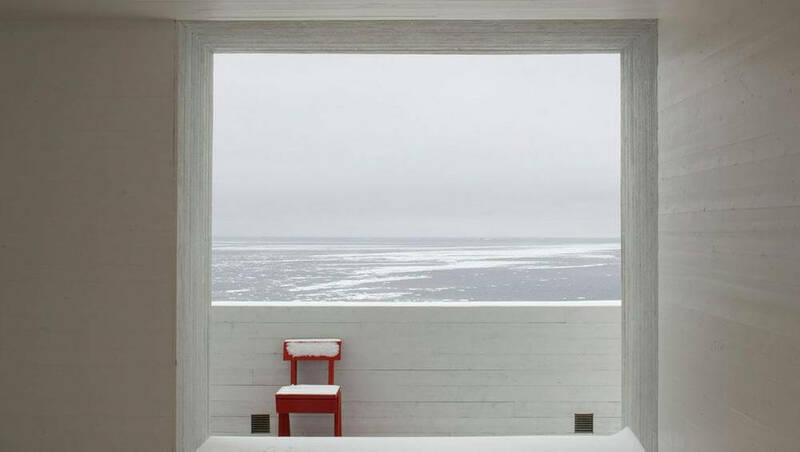 When commissioned to design the Fogo Island Inn, architect Todd Saunders was tasked with creating the hospitality centerpiece of a unique geotourism destination that retained the richness of outport Newfoundland traditions while also speaking the visual language of modern contemporary design. The goal was to “find new ways with old things” in order to both preserve and stimulate cultural production on Fogo Island and to create restorative spaces for guests who come to the Inn for refuge from the noisy, busy storms of modernity. The creation of the Inn was a highly collaborative, eight-year process. The marriage of old and new was ultimately achieved through a holistic, courageous, open hearted journey that involved local makers and artisans, as well as architects and international designers from away. Engaging with Fogo Island’s cultural and intellectual heritage was a priority in the design of the building and a key asset in its construction. At times there were dozens of people involved in a particular process or project. They researched traditional approaches, materials, and implementations and re-imagined them in a contemporary expression while bringing professional design skills from other parts of the world to bear on the needs of the project and the Island. The resulting Inn embodies and honours four centuries of lived experience on the Northeast coast of Newfoundland. It stands out on Fogo Island, yet remains distinctly of this place. 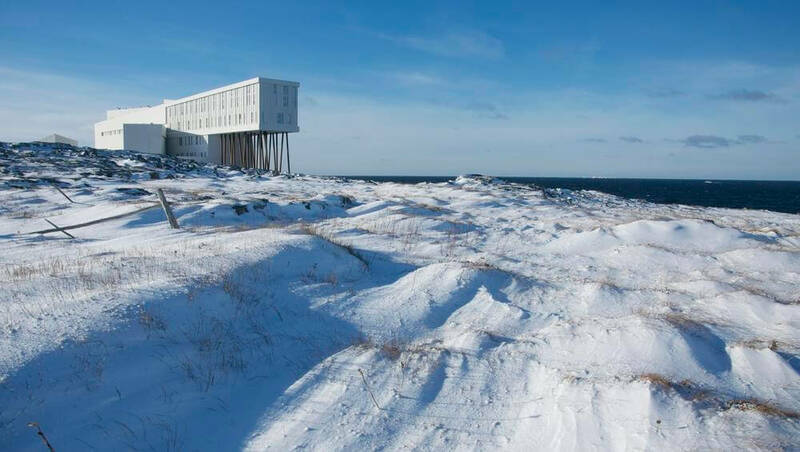 The Inn is explicitly tied to Fogo Island and the architectural traditions of Newfoundland outports in the way it meets with the natural landscape, the use of materials throughout, and most importantly, the pragmatic and collaborative design and construction process.